I come baring exciting news. First and foremost, the Throwboy Kickstarter — The Iconic Pillow Collection is over! That’s a wrap! After an incredible 30 day crowdfunding campaign the grand total raised was $78,532 (of a $10,000 goal funded in 2 hours) with 788 backers. I am beyond thrilled with the outcome and for all the love and support of the Throwboy fans on this special project. From the moment the Kickstarter launched it was featured on all the most popular tech publications including The Verge, MacRumors, MacWorld, Digital Trends, TWiT, Cult of Mac and many, many more. Additionally the project was featured by Kickstarter under Popular, New & Noteworthy, Design and Project We Love. 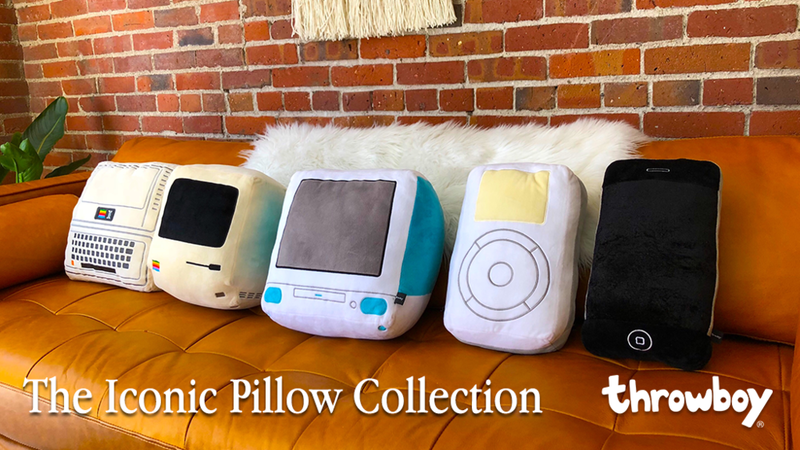 As you know the Iconic Pillow Collection celebrates 10 years of Throwboy and 10 years of bringing the world a new kind of throw pillow that lets people express their passions. This was only possible because of people like you so… THANK YOU. I’m writing an eBook! Simply put, I’ve gotten many people asking questions like “how did you raise that kind of money? How did you get that kind of press?” which has led me to start writing my guide to Kickstarter crowdfunding. The working title is “A DIY Guide to a Super Successful Kickstarter By Roberto Hoyos” …But don’t worry I’m working on a more snappy title. The basis of the book will be a blueprint to having a very successful Kickstarter without the use of advertising, marketing/PR firms or paid promotion. Interested? Click here! In addition to the book I’ve launched a new website! robertohoyos.com will be the new hub for my product design, marketing and business content. My goal is to help entrepreneurs be successful and get inspired to make great things. Click the "Notify Me" button to stay in the loop! Thank you all for helping bring The Iconic Pillow Collection to life. Look out for more updates to come!